Biking allows the ultimate freedom: riders can take in the sights and sounds of the City while avoiding gridlock and setting their own schedule. And if that’s not reason enough to bike in New York City, between September 16th and October 16th, the Citi Bike for Good Program will turn every ride on a Citi Bike® into a ride for hope. 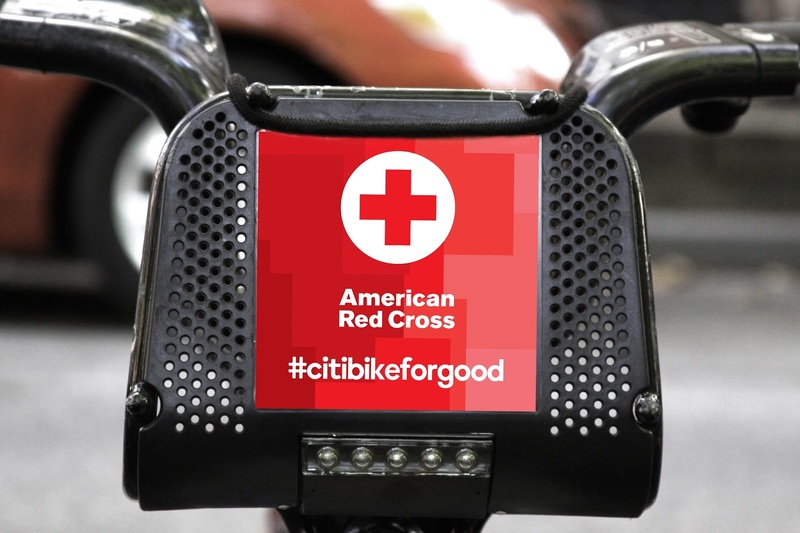 Thanks to generous support from Citibank, your Citi Bike® ride in New York City can help fund the vital relief and recovery services the Red Cross delivers daily to the Greater New York region. Check Your Equipment. Before riding, check tires and brakes. See and Be Seen. Whether daytime, dawn, dusk, foul weather, or at night, you need to be seen by others. Wear something that reflects light, such as reflective tape or markings, or flashing lights. Remember, just because you can see a driver doesn’t mean the driver can see you. Watch for and Avoid Road Hazards. Be on the lookout for hazards such as potholes, broken glass, gravel, puddles, leaves, and animals. Avoid Riding at Night. If you have to ride at night, wear something that makes you more easily seen by others and make sure your bike has flashing lights. And here are just a few tips for dealing with traffic when you are on that bike. Go With the Traffic Flow. Ride on the right, in the same direction as other vehicles. If there is a bike lane, please stay in the lane. Go with the flow – not against it. Obey All Traffic Laws. A bicycle is a vehicle and you’re a driver. When you ride on the street, obey all traffic signs, signals, and lane markings. Yield to Traffic When Appropriate. If there is no stop sign or traffic signal and you are coming from a smaller roadway (out of a driveway, from a sidewalk, a bike path, etc. ), you must slow down and look to see if the way is clear before proceeding. This also means yielding to pedestrians who have already entered a crosswalk. Stay Alert at All Times. Use your eyes AND ears. Watch out for potholes, cracks, wet leaves, storm grates, railroad tracks, or anything that could make you lose control of your bike. You need your ears to hear traffic and avoid dangerous situations – please don’t wear a headset when you ride. Look Before Turning. When turning left or right, always look behind you for a break in traffic, and then signal before making the turn. Watch for left or right-turning traffic. To learn more about the Citi Bike for Good Program, visit www.citibikeforgood.com. Follow the program on social media using #CitiBikeforGood and #RideforRedCross.